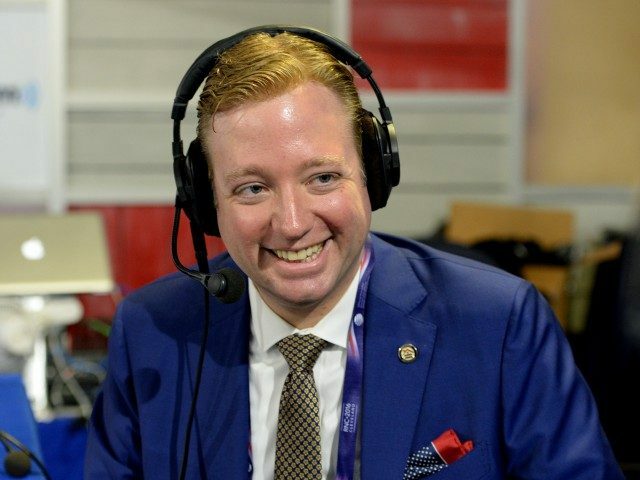 During CPAC 2018, I had the opportunity to talk to Log Cabin Republicans President Gregory T. Angelo about the importance of the organization’s appearance at CPAC for its third year, the Second Amendment, and the threat of radical Islamic terror to the LGBT community. This year is one of the first years that the Log Cabin Republicans have been able to come to CPAC, right? Yes, that’s correct, and I’m glad you started there, because this is the third consecutive year, and the third year, period, that Log Cabin Republicans has been given the opportunity to sponsor the Conservative Political Action Conference. So while it’s actually only the third year, enough time has actually passed to forget that there has actually been quite a campaign for the Log Cabin Republicans to have a presence at this event. But also I think enough time has passed such that people are now coming to understand that our presence at CPAC is actually very valuable, and an opportunity to show the greater conservative movement that LGBT individuals have an important role to play in achieving conservative victory and getting conservatives elected. Do you think President Trump has ushered in more conservative acceptance for LGBT people? I think generally what President Trump made possible — first while he was campaigning for the Republican nomination for president, and subsequently, his election to the presidency, is getting conservatives and Republicans to a place where they are able to recognize LGBT conservatives and also explicitly acknowledge them. I’m always reminded of the touching and historic speech that then-candidate Trump gave in New Hampshire the Monday after the Pulse nightclub attack in Orlando, and that was at a time when the Republicans were tip-toeing and avoiding talking about the community that was attacked in that terrorist incident, and why they were attacked. Instead of running away from that, Trump acknowledged and talked about it, and that actually marked the sea change in the GOP where Republicans understood that it was possible to show a sympathetic stance to the LGBT community, and then to engage with the LGBT community with dialogue. And now President Trump has actually continued that with the letter that he wrote to Log Cabin Republicans in 2017 acknowledging our 40th anniversary and recognizing the LGBT community. What do you think is the biggest threat to LGBT people in 2018? I think it’s a coming together of liberal agenda and ideologies which are a threat to the LGBT community of 2018. It’s one of the reasons why exhibiting at CPAC has been such a matter of importance to Log Cabin Republicans… Log Cabin Republicans is the only LGBT organization in the United States that calls radical Islamic terror by its name. Log Cabin Republicans is the only LGBT organization in the United States that is standing up for our Second Amendment Constitutional rights to keep and bear arms. As a cohort that is more likely to be targeted for violence by radical Islamists and by your run-of-the-mill homophobes simply because of who we are and who we love, acknowledging the threat of radical Islam which opposes the LGBT community and acknowledging that as a community we are more likely to face violence because of who we are, arming ourselves is something which has long been a priority for me, and been a priority for Log Cabin Republicans.